Reading Scripture in the Orthodox Church: The Sunday Cycle. Protopresbyter Dr Doru Costache is the founder of the Australian Institute for Orthodox Christian Studies, Sydney, and a Senior Lecturer in Patristic Studies at St Cyril’s Coptic Orthodox Theological College with the Sydney College of Divinity, Australia. The publication of this book was made possible by a grant from the Australian Research Theology Foundation Inc. and the generous gift of a private sponsor who wished to remain anonymous. Cover design and layout by Ion Nedelcu. 123 pages. 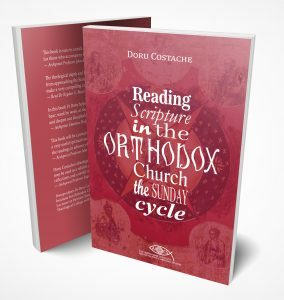 This book records my meditations on the Sunday cycle for an entire year, presented for Saint Gregory the Theologian’s Orthodox Mission in Mona Vale, New South Wales, Australia. I trust they will be of service as a starting point for both personal contemplation and preaching. 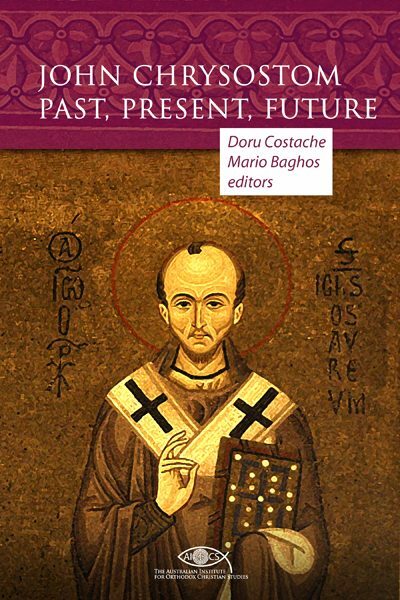 With regard to my approach, it is important to note that, in addition to summarising the designated pericopes, I have tried to reflect on the significance of the associated message of the two given passages for the contemporary Orthodox, and more broadly Christian, experience. The reader will be able to discover my interests by way of the brief suggestions and the keywords which follow after the reflections. The book concludes with a thematic index to assist readers to search for specific topics. For the diligent reader, I have added, immediately before the index, a short list of sources useful for making sense of the traditional ways of reading Scripture and the liturgical experience. Front matters, introduction, bibliography, index, and endorsements. Buy this book as PDF! Buy the paperback edition of this book!